elements to be a bit of a pain, it seems to me that the book itself is the problem. I started this venture trying Shadowrun 5th Edition only to fall back on the 20th Anniversary Edition. So why am I now using a different edition than when I started? In short, Shadowrun 5th Edition was incredibly exhausting. This book lacked organization and desperately needed an editor. One section ended up being split into three different ones scattered around the book. There was so much that was incredibly vague or lacked information all together. I knew immediately that this was more hassle than it was worth for new players. So I checked out the 20th Anniversary Edition and immediately I was relieved. So what makes the previous edition better than the new one? Edition left that completely untouched while the older book was far more blunt. When you run out of essence, you’re dead. That’s it, do not pass go, do not collect $200. Was that really so hard Shadowrun 5.0? I’m all for Game Masters coming up with their own rules and ideas in games but it only makes their lives harder when you don’t lay out some of the ground work. So what does the 20th Anniversary Edition do right? First off, I have one word for you. Supplements. 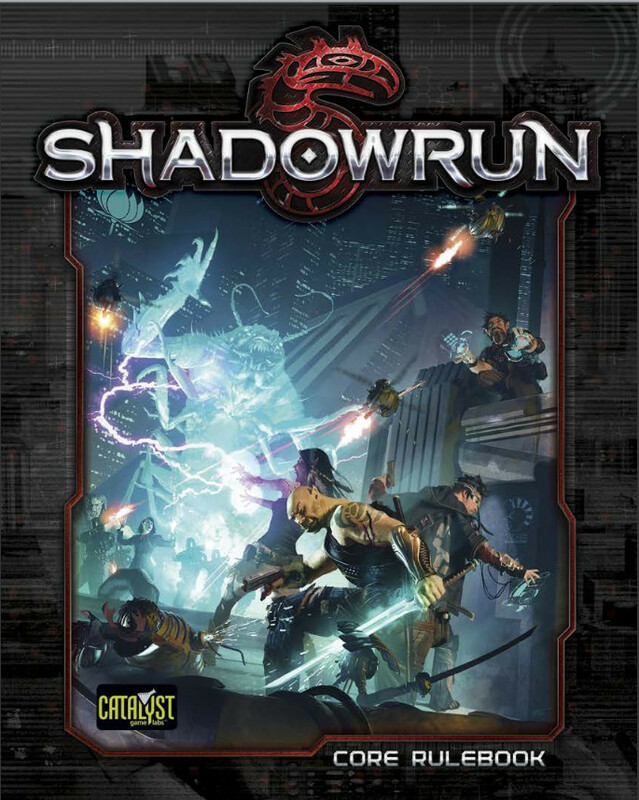 Shadowrun 5.0 was released July of last year and while a year isn’t much time in the world of books, I haven’t seen or heard much on 5.0. With the 20th Anniversary Edition, there are countless other books to expand your gaming experience. There has been some whispers from fellow gamers that there may not be enough resources for more of Shadowrun 5.0 though I have not found anything to confirm or debunk these rumors. 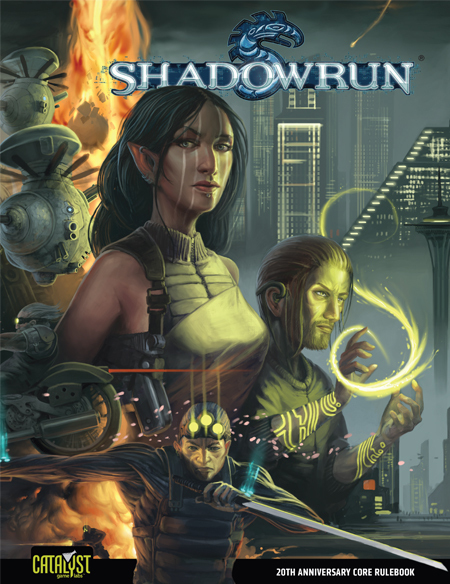 What I do know is what I’ve experienced first hand and that’s Shadowrun’s previous edition feels more complete and functional as a RPG core book. The supplements aren’t required to fill in the hole of the main book, they only add further expansion to features already there. So, while I like the concept of Shadowrun 5th Edition, I’m going to stick with the 20th Anniversary Edition for now. One thought on "Shadowrun 20th Anniversary vs. 5th Edition"
Actually, it is specified that you die if you reach 0 essence, its perfectly clear.